The payments bank was supposed to be launched alongside the deliveries of the JioPhone. It was delayed due to RBI’s directives of demonstrating the payments bank and ensuring that it’s bug-free. 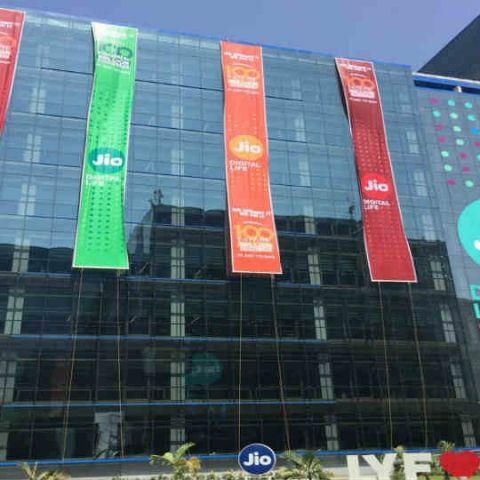 Reliance Jio has reportedly been working with the State Bank of India for developing its own payments bank. According to a report by Livemint, it is a 70:30 joint venture between RJIL and SBI. Some sources aware of the plans said that the payments bank was supposed to be launched along with the deliveries of the JioPhone, but was delayed as RBI had directed Jio to demonstrate its functionalities and ensure that it is glitch-free pre-launch. Jio’s payments bank will rival with Airtel’s Payments Bank, Paytm and many others. SBI is leveraging the wide coverage of Jio’s network for reaching “last-mile customers”, the report stated. Deliveries of the JioPhone have already started for rural areas and small towns first, however multiple customers have started complaining of delayed deliveries. The JioPhone can provide the necessary connectivity and reach to SBI for enabling UPI based payments and other banking activities. A source cited in the report that the payments bank is not the core focus of Reliance Jio. Jio was recently declared as the fastest network, in terms of average 4G download speeds by the TRAI’s MySpeed app report. In an another report by OpenSignal, the teleco was said to provide maximum availability with the users being able to connect to an LTE signal for more than 95.6 percent of the time.